By the initiative of Museum of Image (MOTI) in Breda, The Netherlands, the technology and knowledge developed within the Bedtime Stories project was applied into the artwork called Smart Phocus (Figure X) of Sabine Staartjes. 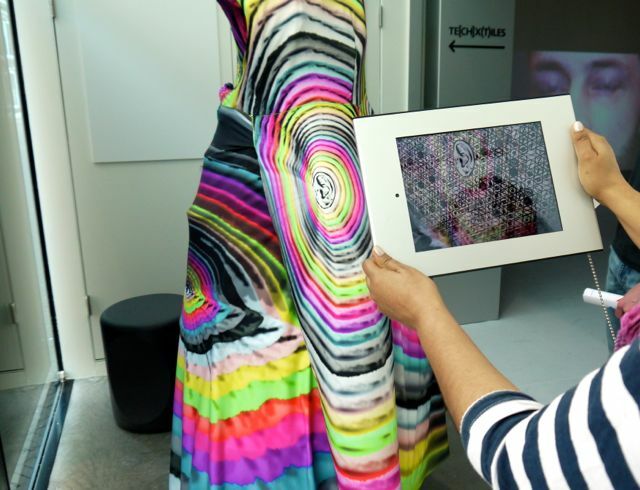 The eyes, ears and lips, that are part of the textile design are recognised by the camera in the tablet computer and augmented layer of “noise” and information is displayed there. It expresses concern about the amount of technical noise around us and stresses the importance of focussing on each other.